This isn’t really news, it isn’t surprising, the drama is about what happens next. 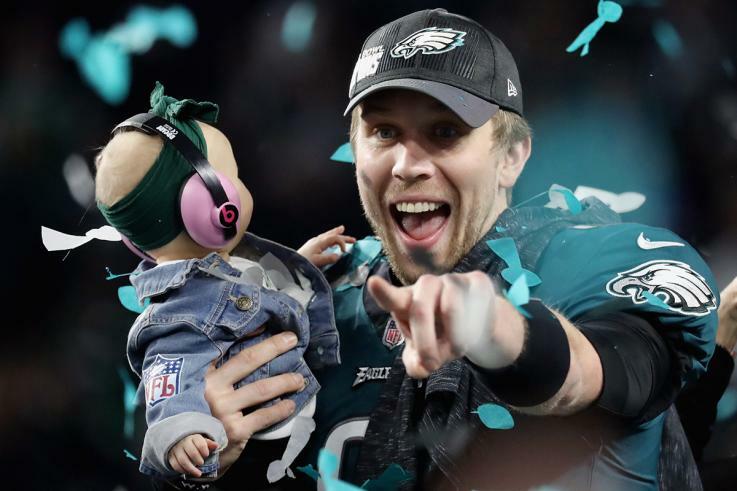 NFL Network’s Ian Rapoport reported Saturday on Super Bowl Live that the Philadelphia Eagles are expected to pick up Nick Foles’ $20-million option on February 10th. We knew that was coming, but what is Foles going to do? Will he pay the $2 million to buy out of the contract and become a free agent, or will he allow things to play out and work with the Eagles on a potential trade. If Foles pays the $2 million, the Eagles will have the option of franchise tagging him. In order to franchise tag Foles, however, Howie Roseman needs to get the Eagles under the salary cap before the start of the new league year in March. According to overthecap.com, Philadelphia is currently $18.46 million over. That’s why some believe if Foles does intend to become a free agent, that the Eagles should go the compensatory pick route instead because there’s too many moving pieces for a tag-and-trade to get done. If Foles is in the top three of all free agents in annual average value, Philadelphia would be rewarded with a third round compensatory pick in the 2020 NFL Draft. Drama, drama, drama. We’ll know a lot more in a month.